The Web Marketing Association’s 15th annual Internet Advertising Competition (IAC) Award program is currently accepting entries and is looking for qualified judges to help adjudicate this year’s award program. The IAC Awards are the first and only industry-based advertising award competition dedicated exclusively to online advertising. To nominate yourself or someone within your organization, please complete the Judge’s Nomination Form. Internet and advertising professionals selected as judges will be contacted during the first week of January. 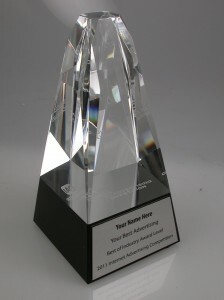 “We are looking to expand the judging pool for the awards by bring on qualified advertising professionals to help us set the standard of excellence for online advertising,” said William Rice, president of the Web Marketing Association, Inc. “We created the IAC Awards to highlight the best in this unique advertising medium by industry and need additional individuals who have direct experience developing online advertising. Our judges must have an in-depth understanding of the current state-of-the-art in web advertising, an eye for a well-designed ad and the objectivity to score entries according to a predefined set of criteria”. Judging for the IAC Awards will take place in February, 2017, and winners will be notified by e-mail one week prior to the general announcement of winners in March, 2017. Judges will consist of a select group of Internet advertising professionals with an in-depth understanding of the current state-of-the-art in Web advertising. Past competition judges have included top executives from leading corporations, institutions and media organizations such as Arc Worldwide, Brunner Digital, Campbell-Ewald, CNN News Group, Deep Interactive Asia, Digitas, EuroRSCG 4D, Google, IBM Interactive, imc2, JWT, LeapFrog Interactive, Mass Transmit, McCann Worldgroup, Razorfish, Starwood Hotels & Resorts, Tectis GmbH, TMP Worldwide, Universal McCann Interactive and Wunderman / Y&R. The Internet Advertising Competition Awards are open to all organizations and individuals (advertising and interactive agencies, corporate marketing departments, etc.) involved in the process of developing Internet advertising. Entries may be submitted online at http://www.iacaward.org. The deadline for entry is January 31, 2017 and will be judged on creativity, innovation, impact, design, copywriting, and use of the medium. “It is an honor and an important responsibility when you are chosen to participate as a judge, said Rice. “Judging an award show like the IAC Awards is a great way to share your experience and expertise with the online advertising community. You are helping to set the standard for award winning advertising throughout the Web”. The 2017 Internet Advertising Competition Awards are sponsored by SEO Inc., Small Army Creative Services, PR.com, EContent Magazine, ad:tech conferences, Cranberry Radio and Website Magazine. The Web Marketing Association announces the Call for Entries for the 15th annual Internet Advertising Competition (IAC) Awards. The IAC Awards are the first and only industry-based advertising award competition dedicated exclusively to online advertising. This international award program will evaluate all forms of online advertising, including email, page-based ads, online newsletters, mobile apps, Websites, video and social media in 96 industry categories. The Competition Web site is located at www.iacaward.org and the deadline for entry is January 31, 2017. The Internet Advertising Competition Awards are open to all organizations and individuals (advertising and interactive agencies, corporate marketing departments, small business owners, etc.) involved in the process of developing Internet advertising. Entries may be submitted online at http://www.iacaward.org. The deadline for entry is January 31, 2017 and will be judged on creativity, innovation, impact, design, copywriting, and use of the medium. Best of show award for each format will be selected from among the industry winners. Ads eligible for entry in the competition must have run during the period from January 1, 2016 through January 31, 2017. In an effort to recognize those organizations that demonstrate exceptional development skills across multiple entries, agencies that win more the 6 awards will also be recognized with an Outstanding Advertising Developer award from the Web Marketing Association. In 2016, seven agencies won this honor. Judging for the IAC Awards will take place in February, 2017, and winners will be notified by e-mail in March, 2017. Judges will consist of a select group of Internet advertising professionals with an in-depth understanding of the current state-of-the-art in Web advertising. Past competition judges have included top executives from leading corporations, institutions and media organizations such as Arc Worldwide, Brunner Digital, Campbell-Ewald, CNN, Deep Interactive Asia, Digitas, EuroRSCG 4D, Google, IBM Interactive, imc2, JWT, LeapFrog Interactive, Mass Transmit, McCann Worldgroup, Razorfish, Starwood Hotels & Resorts, Tectis GmbH, TMP Worldwide, Universal McCann Interactive and Wunderman / Y&R. The 2017 Internet Advertising Competition Awards are sponsored by SEO Inc., Small Army, PR.Com, EContent Magazine, ad:tech conferences, Cranberry Radio and Website Magazine. A complete list of past IAC Award winners can be found at the IAC Award Website.